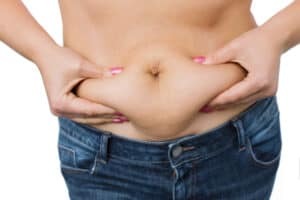 / Does Walking Burn Belly Fat? Does Walking Burn Belly Fat? Belly fat not only looks very unpleasant, but it also possesses a severe health risk. In fact, people with belly fat have twice the risk of heart attack compared to other people. There are many exercise routines that you can follow to get rid of it, but does walking burn belly fat? Today, we will focus on one very simple activity that can do wonders for our body—walking. We’ll also share with you the reasons why you need to get rid of belly fat, how to do so by walking, and what other activities you can do to live a healthier lifestyle. Why Do You Need to Burn Belly Fat? Belly fat can result in some serious health risk. In fact, it can increase the risk of developing cardiovascular diseases. In addition to that, it also has an adverse effect on a person’s lifestyle. In medical terms, belly fat is known as visceral fat. For an average person, it equals 10% of the total fat that is present in our body. The visceral fat sits under the abdominal wall and around other internal organs. For this reason, when you have excess fat, it puts pressure on your organs and stomach and increases your waistline. With more pressure on the organs and increased waistline, you develop the risk of higher blood sugar levels as well as type 2 diabetes. All in all, excess belly fat is a serious health risk that should not be taken lightly. One of the most common exercises people do to prevent or reduce belly fat is walking, but is it really effective? Let us find out. 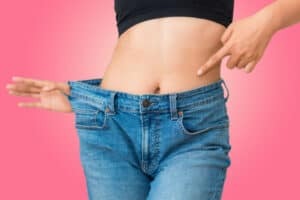 If you have belly fat, and you are looking for ways to reduce it, here is some good news for you: even though it may seem strange with so many people walking around with visible belly fat, getting rid of it is easier compared to fat on other parts of the body. Why? This is because our body uses belly fat as energy before it moves on to the fat in other parts. 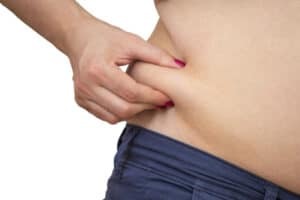 For this reason, belly fat dissolves very quickly when we exercise compared to fat on thighs, hips, and other parts of the body. Now, what about walking? What are the effects of walking on your belly fat? The answer is, it is an effective but slow solution to get rid of the belly fat. Brisk-walking is considered a low-impact exercise, which is often viewed as a healthier option, but it also has its own set of risks. So how does walking help you get rid of the fat from your belly? What is the science behind it? For starters, brisk-walking is ranked among the moderately intense cardiovascular exercises. When you walk fast, it doesn’t put much pressure on your joints, like most of the other exercises, but increases your heart and breathing rate. This is why walking is often considered one of the best activities for cardiovascular health. Walking can actually help you burn calories. 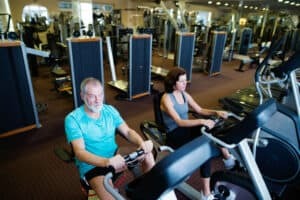 When your body burns calories, it seeks more energy to provide you with a replacement for the calories you are burning. For this, it starts breaking the belly fat to get the energy the body wanted. Well, now we know walking is good for reducing your body fat, the next question is, how much is enough? To be honest, there is no strict rule here. The walking schedule also depends on your age, lifestyle, your habits, and more. However, it is highly recommended to do at least 30 minutes of brisk walking on a regular basis. If you can’t make it seven days a week, at least maintain this schedule for five days a week for actual results. 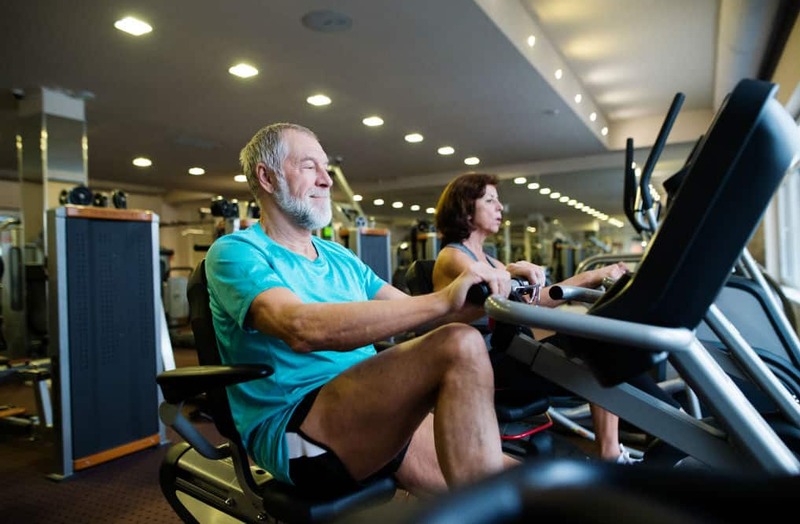 The Physical Activity Guidelines for Americans also recommends the schedule mentioned above, which is a detailed health document by the Department of Health and Human Services. Additionally, keep in mind, the more you weigh, the more calories you will burn at the same time. If you walk for a mile, or one and a half kilometer, it will burn around 100 calories on average. You may ask, what is brisk-walking? Or how fast is brisk-walking? Well, any speed around five km/hr or higher is brisk-walking. Walking has tons of other benefits, so walk, make it your life routine. However, here is the catch. Walking does not offer you fast results; it requires consistency and patience. If you have patience and can wait for months to get your body and belly back in good shape, then yes. However, if you are looking for quick results, you must have to look for other ways as well. We recommend combining your half hour walking schedule with a workout routine that is effective and easy to follow. One of such routines or rituals that is designed to bring quick results is Lean Belly Breakthrough. It is a set of e-books that provides you with everything that can contribute to quick belly lose. The e-book tells you what exercises to include in your daily routine, what foods to avoid, what to eat, and how to spend only two minutes on the described ritual to lose a pound every three days, mainly in the form of belly fat. That’s quick, right? When you combine this ritual with your walking habit, the results will be much quicker. So, the answer to the question does walking burn belly fat is definitely a yes. Any exercise that burns more calories than what you intake can reduce your belly fat. For this, brisk walking is among the best exercises not only for belly fat but also for tons of other health issues. This is why health experts and physicians often recommend daily walk to people who don’t have an excess fat problem. No matter if you have belly fat or not, making daily half-hour walk your lifelong habit not only prevents excess fat as you age but will ensure a healthier life. However, the results are not that quick, which means that you need to look for other exercises and rituals, like the solution mentioned above, for faster results. All in all, belly fat is not at all a healthy thing. It not only affects your appearance but contributes to severe health conditions as well. The solutions are simple, so why not resolve the issue before it creates a bigger problem? Some recommended products may use affiliate links. StraightOnMyBelly .com is a participant in the Amazon Services LLC Associates Program, an affiliate advertising program designed to provide a means for sites to earn advertising fees by advertising and linking to Amazon.com. Amazon and the Amazon logo are trademarks of Amazon.com, Inc or its affiliates. Copyright © 2017-2019 Straight On My Belly | All Rights Reserved.